Assisted more than 46,000 medical processionals to get licensed since 2007 and received several awards. Now I passed the Nursing Technician exam!!! without your help, I will not achieve this license. Thank you and God bless. As an OFW that doesn't have enough time to fix everything, I can say that NEAC had helped me so much to fix my dataflow and HAAD exam. NEAC employees are fast to reply and accommodating. I would like to thank the NEAC team for being a huge part of this wonderful journey. Thank you for assisting me with my application for NCLEX. I was able to concentrate on my review because you had taken care of everything. To NEAC, from the start until the end you are there, thank you for all the help and assistance. Thank you for the patience of upating me and replying to my queries. I highly recommend NEAC for the great service.for helping me and answering my never-ending queries. Thumbs Up NEAC! God bless! First and foremost, I would like to extend my gratitude to all staff of NEAC for assisting me in my HAAD processing. Thank you for being a a part of this journey. 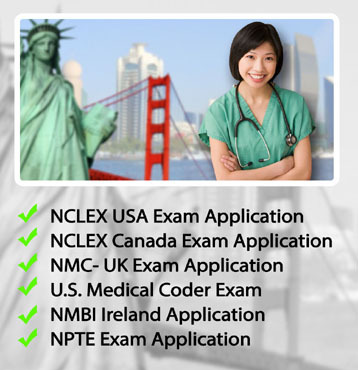 As a first timer applicant for NCLEX-RN, it was a smooth sailing processing. NEAC's staff were accommodating and responsive for every inquiries. Thank you NEAC for assisting me throughout my journey in passing HAAD exam. You're staff are very accommodating and attentive every time I emailed them regarding my application. You offer me a hassle-free service and able to resolve my misspelled name in the exam ticket in due time. Also, thank you for answering my queries promptly. All of you are worthy of praise from the very beginning of my application until this very moment. I am so glad that I am almost their in achieving my dream. Thank you so much. Because of your assistance I would just focus on my review with no worries. Please continue to help other professionals with same assistance and care you've shown me. NEAC played an important role in the fulfillment of my dream of becoming a DHA passer. They are the one who processed all my documents so that I can take my exam without any hassle while I'm at work. Thank you NEAC for your great service in processing all the requirements for my DHA exam. You've been very accomodating to all my queries. I am now a DHA-RN. I just want to say a Big Thank to everyone who helped me in the processing of my license. I finally got my US Illinois USRN license! 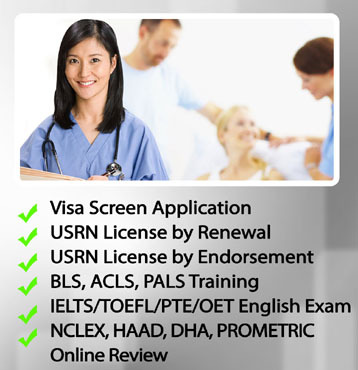 I am indeed grateful to NEAC for the assistance that they have provided during my NCLEX application. NEAC has always been there behind my back and they have my best interest at hand. It brings so much joy and pride that i passed my exams and u being part of it! Thank you so much!great service indeed especially. to those who are online applicants like me.